Do you work with or have a connection to secondary schools and their students? If so, find out how you can help young people increase their knowledge of the Suffrage Movement and improve their understanding of UK democracy. As part of the Government’s 2018 Suffrage Centenary Programme, led by the Government Equalities Office, Cabinet Office awarded a grant to the Historical Association to develop online resources for secondary schools to raise awareness of democracy among young people. The resource gives Key Stage 3 and 4 (KS3/4) students an insight into the struggle for equal voting rights and explains how young people can make their voices heard today. Last year marked an important democratic milestone – 100 years since some women in the UK got the right to vote. 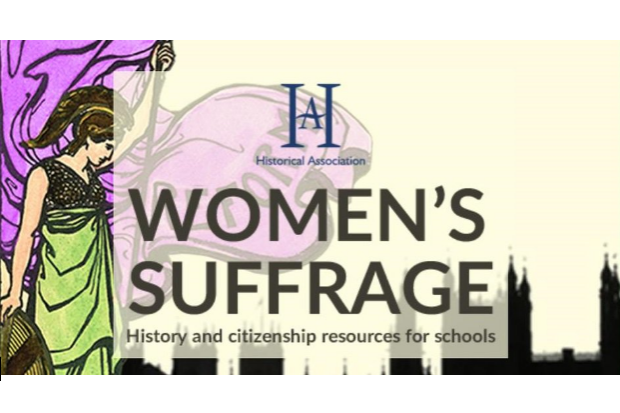 Throughout 2018, we worked with the Historical Association and the Association for Citizenship Teaching to create a website of resources that set out to increase KS3/4 (13 to 15 years old) students’ knowledge of the Suffrage Movement and UK democracy. Young people are one of the most under-registered groups – around 64% of 18 to 24 year olds were on the electoral roll at the last General Election. However, online voter registration has made it quick and easy to make an application, taking just 5 minutes with a National Insurance Number. With this knowledge, we hope secondary school students can go on to register to vote at 16 and become active participants in our democracy – knowing their vote matters when they turn 18. As of January 2019, 348 schools had used the resource. The aim is to reach 800 schools by summer 2019. Last year, Helen Pankhurst (Emmeline Pankhurst’s granddaughter) publicly endorsed the resource on Twitter, bringing it closer to this historical moment in UK democracy. So far, the resource has reached many parts of the UK and a handful of schools internationally. But we want it to be used by and reach as many schools and students as possible, especially those in areas where democratic engagement is low. With your help, we are looking to promote the resource even further to ensure as many young citizens as possible have knowledge of their democratic rights and continue to be democratically engaged throughout the rest of their lives. If you are a parent, volunteer, work with, or have access to, secondary schools, students, teachers, head teachers, governing bodies or youth groups, you could help to promote and share this resource? It can be used in any secondary school and is particularly suited to areas of low democratic engagement, such as North Yorkshire, Somerset, Cambridgeshire and East Sussex. Whatever your connection, this is a fantastic resource for engaging young people in democracy. And it can be easily distributed, as all the materials are freely available to download from one easy-to-navigate site. As a former teacher myself, I understand teachers’ time is precious, and having a bank of engaging information to hand can make all the difference in a busy timetable. By promoting the resource, you are helping future generations understand the importance of our democracy and become active members in our democratic processes. Thank you for promoting a great Initiative! I agree with you it important that we continue to talk about this if we want our future generations to have a environment where there is a fair democratic process.